We’ve learned some major life lessons through watching movies. But we’ve never actually saved anybody’s life from something we saw on the big screen. But if you can believe it, it’s actually happened. 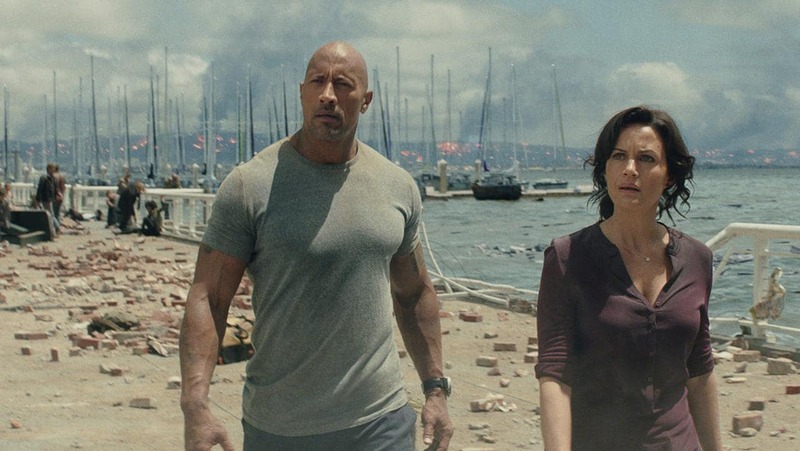 Yup: Dwayne “The Rock” Johnson’s role in San Andreas just helped a 10-year-old boy save a life. Who knew? The 2015 film is about a massive earthquake along the infamous fault line. And it actually taught a young kid how to administer CPR. According to Johnson, 10-year-old Jacob O’Connor in Baltimore found his 2-year-old brother floating face down in the pool. Using CPR chest compressions he learned from San Andreas, O’Connor saved his little brother’s life. Johnson told the story in a recent Instagram video. "He learned how to do this by watching this big, brown tattooed guy in his favorite movie San Andreas. Jacob, I'm so proud of you so much so that I've got to meet you. I've got to shake the hands of a real-life hero." Young O’Connor told ABC2 News about the experience, and how he picked up the life-saving tactic from The Rock’s movie. 2-year-old Dylan is now back home after spending a day in the hospital. Meanwhile, Johnson is already making plans to visit Jacob and reward him for his bravery and quick thinking. Here’s the scene from San Andreas that made all the difference. Turns out movies really can positively impact the lives of children who watch them. Also, this is a really good bolster for Johnson’s possible 2020 presidential run.